Here is another set that I made using this pattern. Nice! I am going to give these a try! Very cute for the holidays! 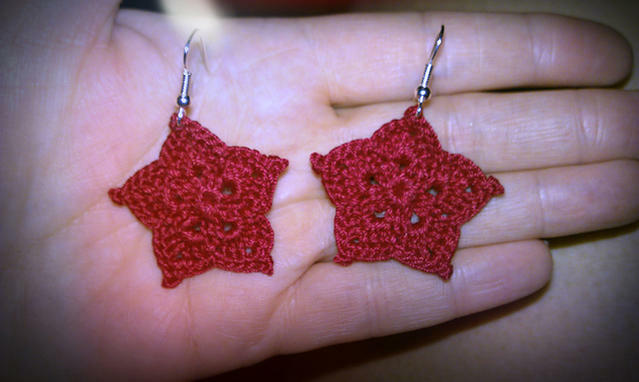 Very beautiful star earring. I like it.